Agile Research Studios (1) adapts agile processes to research training so students learn to more effectively plan authentic research inquiry and (2) makes effective use of the expertise and resources across the research learning community to support research progress. 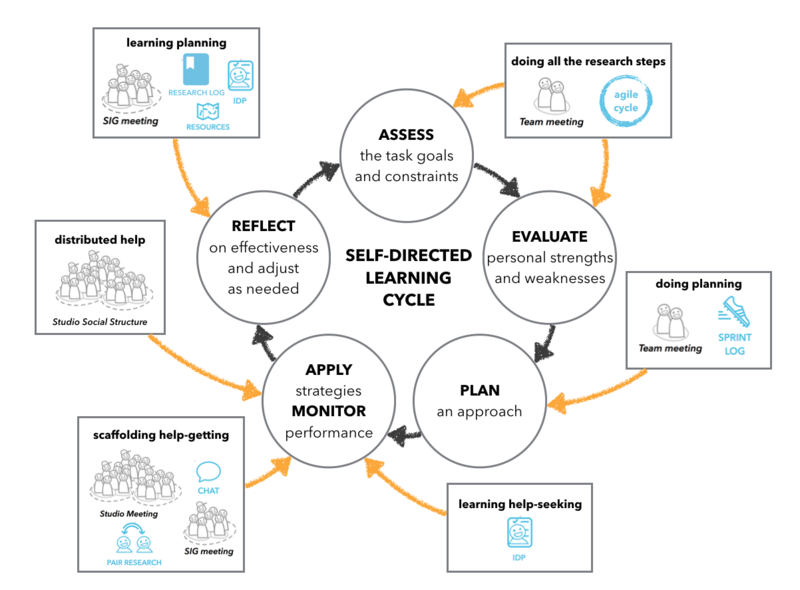 By more fully leveraging the support of the research community, this approach will allow more students to engage in authentic research activities and produce research without increasing faculty mentoring resources. Read the paper to learn more. 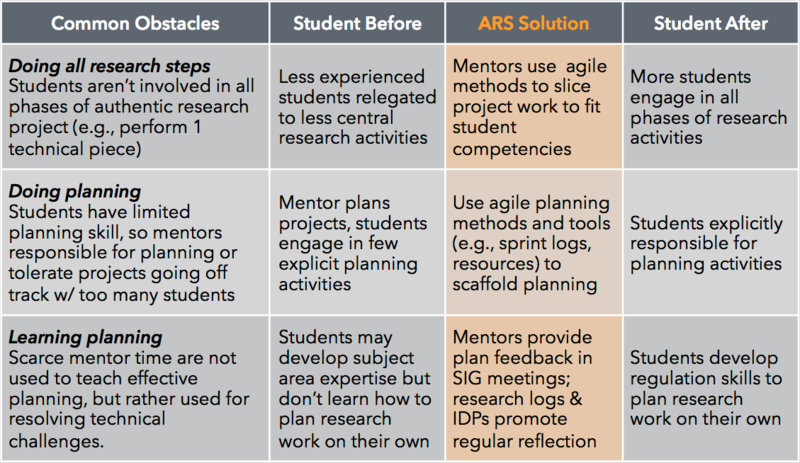 ARS helps students learn self-directed research planning, monitoring, reflection, and replanning so they can lead their own projects. 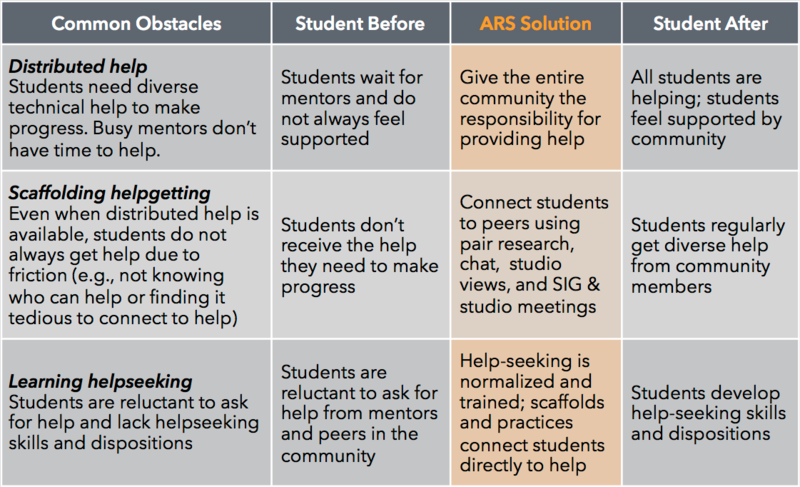 ARS also helps students adopt effective collaboration & help-seeking skills so they can support each other to learn and make progress.